There are a host of great tournaments held in Kona, Hawaii every summer. The majority of these tournaments are worth the travel time and expense to come and fish this incredible big game hotspot. Any day of the week, any time of the year, you never know what you’re going to catch off Kona- that grander blue marlin could be piling on that short corner lure at any time. With the 2016 Kona tournament season just underway, I’d like to mention a tournament that I personally believe to be one of the best – the 14th Annual Marlin Magic Lure Tournament held June 29-30th. The Marlin Magic Lure Tournament was originally a private tournament but it has grown in popularity over the years for the reasons that I list below. I consider it one of my favorite tournaments next to the World Cup and here’s why I recommend fishing it. 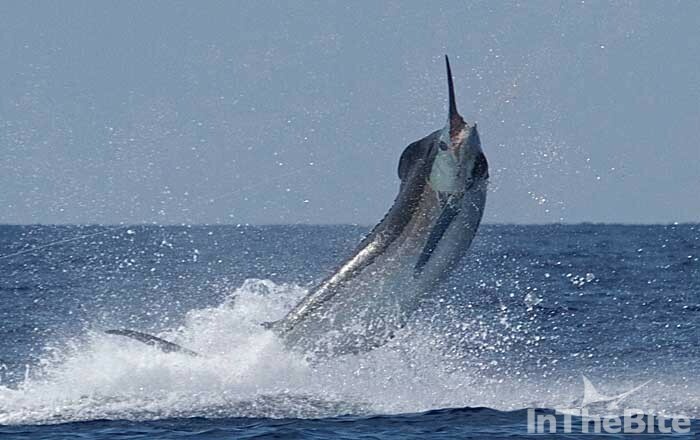 • It’s a traditional big blue marlin tournament, where the scale determines the winner. If there are no qualifying fish (400 pounds or more) you get 87.5 % of your money back! 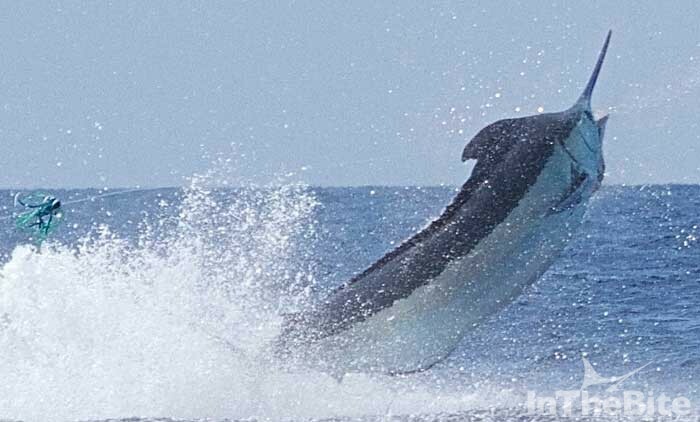 • The rules are simple – catch the biggest blue marlin. First place takes home 60%, 2nd Place 40% and there is no 3rd place. • It has one of the biggest returns for your money of any Kona tournament. 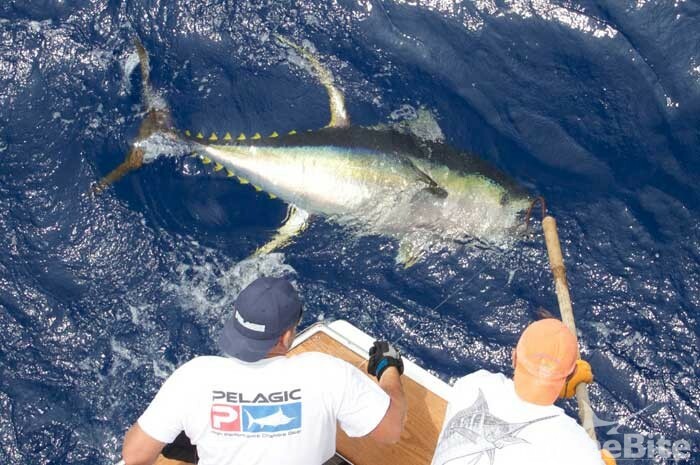 • Its timing is perfect for fishing other great Kona tournaments too! Like -The Kona Kick Off, The Firecracker, the World Cup (Kona is a good place to be for that one!) and many more. The 2016 Kona Tournament season kicked off June 3rd with the Hawaiian Open Big Game Fishing Tournament. Captain Marlin Parker on the Marlin Magic II won the season opener by scoring the most points with 3 blue marlin releases, a 181.5-pound ahi and a shortbill spearfish. Captain Al Gustavson on the Topshape came in second and Capt. Kerwin Masunaga on the Rod Bender came in third place. The Rock and Reel Tournament held June 11-12 was won by Captain Al Gustavson on the Topshape with 800 points. There was also three-way tie for 2nd Place which is allowed by rules in the Rock and Reel Tournament. Captain Rob Ellyn on the Lightspeed, Captain Bradley Damasco on the Bite Me 6 and Captain Jeff Fay on the Humdinger each had 550 points. As determined by the rules there was no 3rd or 4th place as the money was divided between the 2nd Place winners. Capt. Kerwin Masunaga on the Rod Bender won the heaviest blue marlin division with a 391-pound blue. The minimum weight was 300 pounds. The 2016 IntheBite Captain of the Year Award is off and running with some serious captains already in the mix and a few who haven’t even started yet. This should be a great tournament season. I highly encourage you to come see for yourself and fish some Kona tournaments!